Upgrade the radio in select 2016 - 2018 Kia Optima vehicles with an aftermarket single ISO radio with pocket or a Double DIN radio. 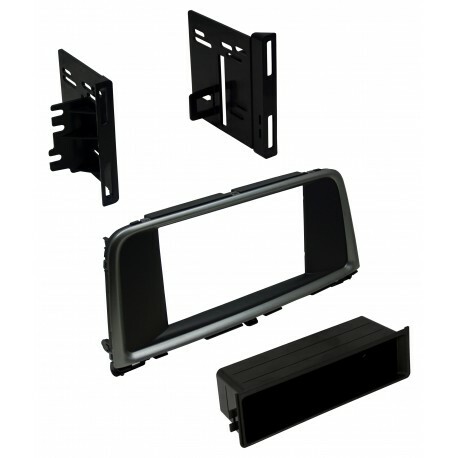 Our dash kit includes a satin gray trim to match the factory design. Made of quality materials keeping the interior looking factory when adding an aftermarket stereo.